Here is another internet video series that I’ve come to know and love: Honest Trailers! 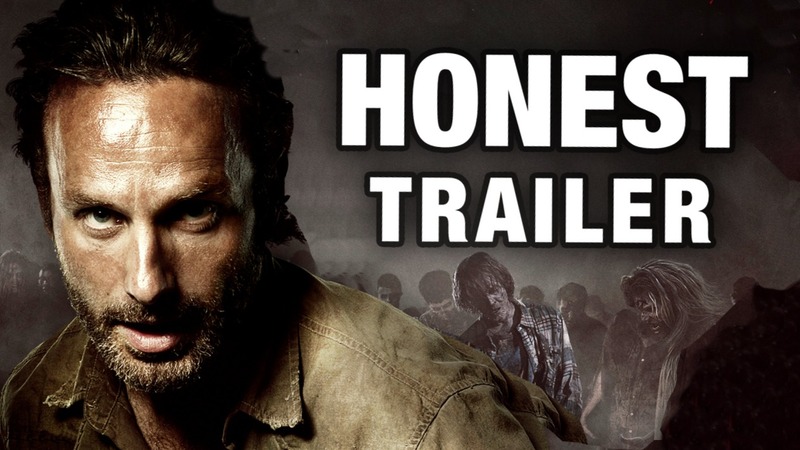 As one of several hilarious series’ by ScreenJunkies and Break Media, it is all about doing mock trailers that are unabashedly honest about the movie or show in question. I’m sure most people are familiar with them by now and have seen at least one of their spoofs. In this recent trailer, they tackle AMC’s The Walking Dead. As usual, they manage to weave what fans already know and complain about into the 5 minute segment, touching on everything from problems with the adaptation, inconsistencies in the plot, the way extras routinely die, how boring Season 2 was, how the Governor was the most evil/benevolent dictator since Toy Story 3’s Lotso (echoes of Zombie Story), and just how awful the character of Lori is.